Reverting to an Indian daily's claim that "the Indian security establishment is reasonably sure China will not risk a war or even "a small-scale military operation", Chinese daily 'Global Times' warned India of not being so sure of it. The Chinese state media on Tuesday reasserted the likleyhood of 'a small-scale military operation' by People's Liberation Army at the disputed land of Dokalam. "Of course China doesn't want to risk a war and hopes that peace could return and China and India can get along well. But if Indian troops continue to linger on Chinese soil, it will be quite another matter," the report said. The article titled 'India misjudges China’s hope for peace' warns India of not repeating the mistakes of 1962, "India made constant provocations at the China-India border in 1962. The government of Jawaharlal Nehru at that time firmly believed China would not strike back... the Nehru government underestimated the determination of the Chinese government to safeguard China's territorial integrity even as the country was mired in both domestic and diplomatic woes." "Fifty-five years have passed, but the Indian government is as naïve as it ever was. The lessons of the 1962 war didn't last for half a century." The strong rhetoric of the state media, is however, not backed by the official sources. A top PLA official on Monday declined to back it but said that India should withdraw its soldiers unconditionally to end the 50-day long standoff from escalating. "This kind of reports represents the view of the media and think-tanks. For official information please refer to the statements of foreign ministry and defence ministry spokespersons," China's Defence Ministry's spokesman Sr Col Ren Guoqiang told an Indian media delegation in Beijing. The Global Times'Tuesday article was in repornse to Times of India editorial 'Doklam row: India reasonably sure China does not want war despite angry rhetoric' published on Tuesday, wherein it claimed that Indian authorities are sure that Chinese troops will not act on threats. 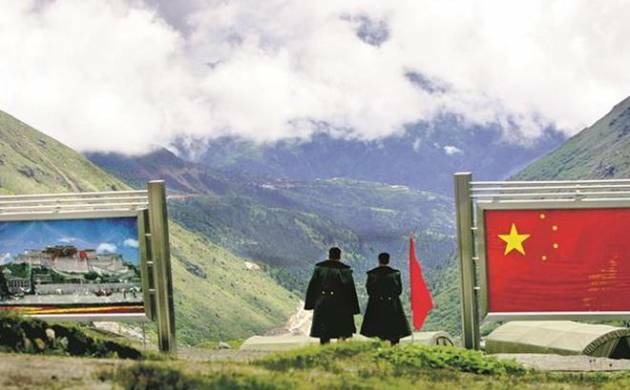 "A "face-saving" workable option is for both India and China to simultaneously withdraw their troops from the Bhutanese territory of Doklam (called Dong Lang by China) near the Sikkim-Bhutan-Tibet tri-junction, said sources in the security establishment," the Indian daily's report had said.